Hi everyone! I'm Ainul and welcome to Wearrior Instinct! 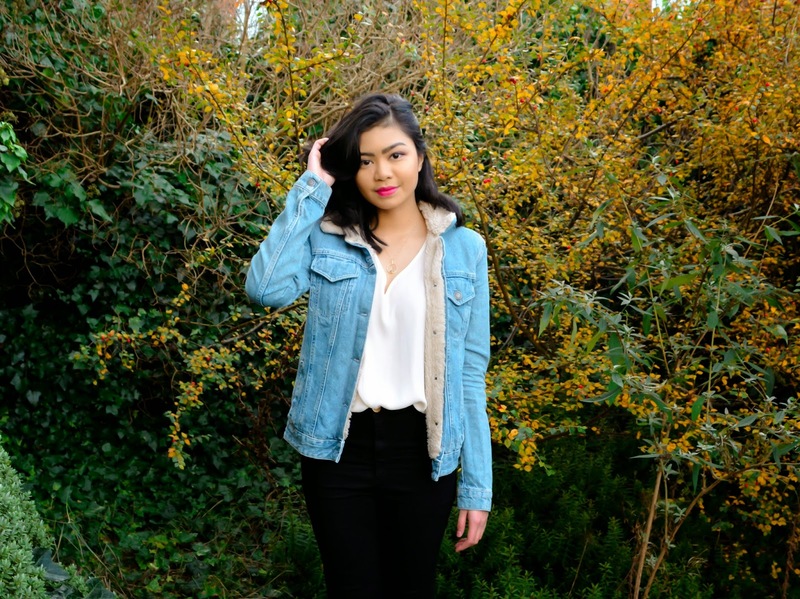 In this post, I'll be showing you guys how I like to wear my all time favourite denim piece, the denim jacket. Denim, including blue jeans are globally known as one of the biggest and most iconic fashion wear. It is worn by all regardless of body size and age. It is also great for daily wear, something simple, bold and easy. The denim jacket I'm wearing in this post is from Top Shop. It has a borg lining, good to provide a bit of warmth in cooler weathers. I'm wearing a UK 8, although I do find it would have been nicer to get a size up if you're planning to wear more layers inside. When it comes to blue denim, the two colours I would go for is usually black and white. Here, I'm wearing a white V-neck shirt from River Island and black high waisted tube pants from River Island. The white creates sort of like a canvas that allows the blue denim to pop out. I just love the combo of white with denim. The black complements both the whites and blues. It creates contrast and gives an overall sophisticated look. I went for my black leather Timberland boots for this look. 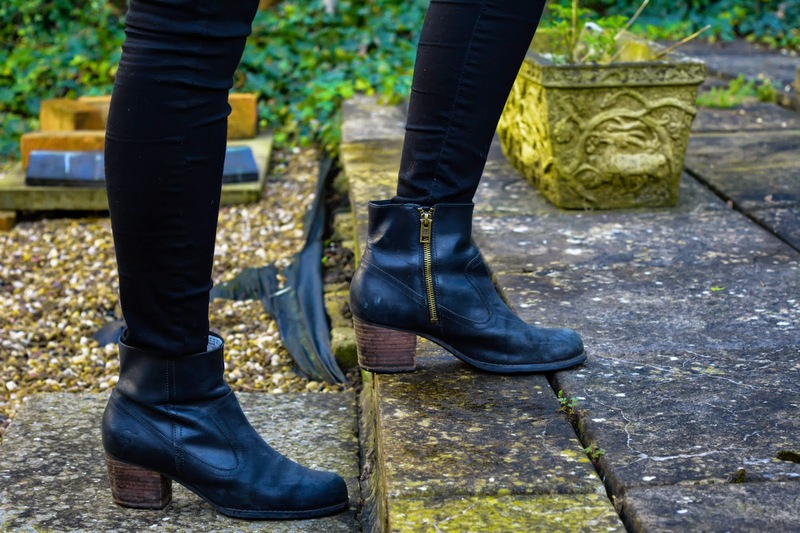 This pair of boots are my favourite to wear all year round in the UK. Since the weather is mostly cold and rainy, leather provides good protection against the cold winds and rain. It is also convenient for those muddy and dirty puddles you'll have to face. Black certainly will certainly be much more forgiving than other shades. The details on these boots are what we're after for the look. The gold zipper adds a certain classiness. I actually wore a gold piece necklace in this shoot as well, and if you noticed the button on my pants is also golden. The tiny bits of gold is just what you need to give your outfit that chic look. It also provides a great contrast for both of the white and black colours in your outfit. This is how I like to wear my denim jacket. Denim is a great casual and simple piece that can be worn for many occasions. I hope you like this post and I would love to know how you like to style your favourite denim pieces! You can pop us a comment below. Thank you very much for reading and I'll see you on my next post. Next week will be M's turn to show you how he styles his denim jacket. Until then, have a good weekend everyone!